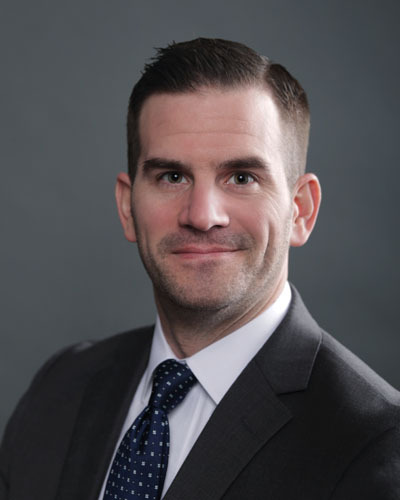 James R. Hinchliff | Family Law Attorney at Shindler, Anderson, Goplerud & Weese P.C. Jim represents clients in the areas of divorce, litigation, child custody/visitation, taxation, child support, appeals, business law, contracts, and corporate law. Prior to joining Shindler, Anderson, Goplerud & Weese P.C., Jim represented clients in a general practice law firm in Perry, Iowa. During his time in general practice, he gained experience in criminal law, tax preparation, estate planning, and real estate law. When Jim meets with clients, he focuses his energy on listening and gathering as much information as possible to provide honest advice in times of hardship or prosperity. After listening and gathering information, Jim seeks to provide a plan of action and counsel to his clients while focusing on their interests. While in law school, Jim had the opportunity to work for a United States District Court Magistrate Judge for two summers, work for a Prosecutor’s Office, and work on the Editorial Staff for the Creighton Law Review. Outside of work, Jim enjoys spending time with his family and participating in various sports and recreational activities. Jim coaches Johnston High School Mock Trial and serves on the City of Grimes Tree Board.